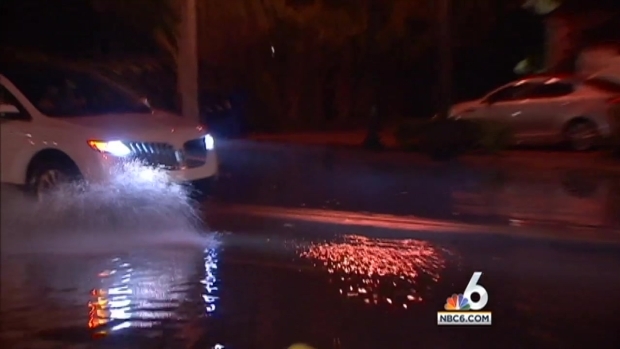 A lunar cycle has left parts of South Florida feeling waterlogged Tuesday as waters from high tides have left some streets completely inundated with ankle-deep floods. Police closed off Indian Creek Drive from 41st Street to 27th Street in Miami Beach due to the flooding. The first wave of high tides left more than 10 inches of water in some areas on Monday. High astronomical tides, due to the lunar cycle, are to blame, along with higher than normal tidal levels this year. 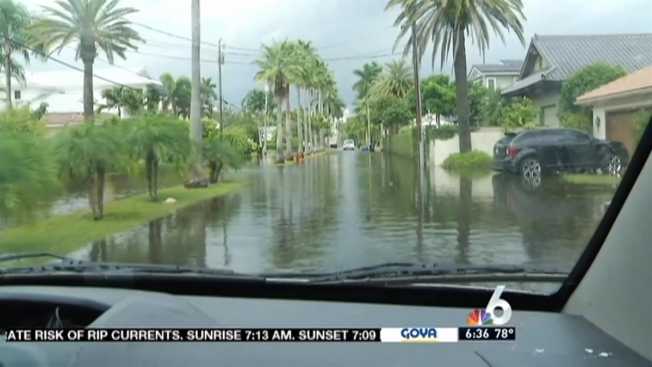 The high tides have impacted South Florida and caused flooding in some areas. NBC 6's Stephanie Bertini reports from Fort Lauderdale. Miami Beach is in the middle of a five-year, $400 million storm water pump program. In the past year, the city added six new permanent pump stations, 25 back flow preventers and elevated streets near West Avenue and Sunset Harbour. Collins Avenue and Indian Creek Drive are next on the list.